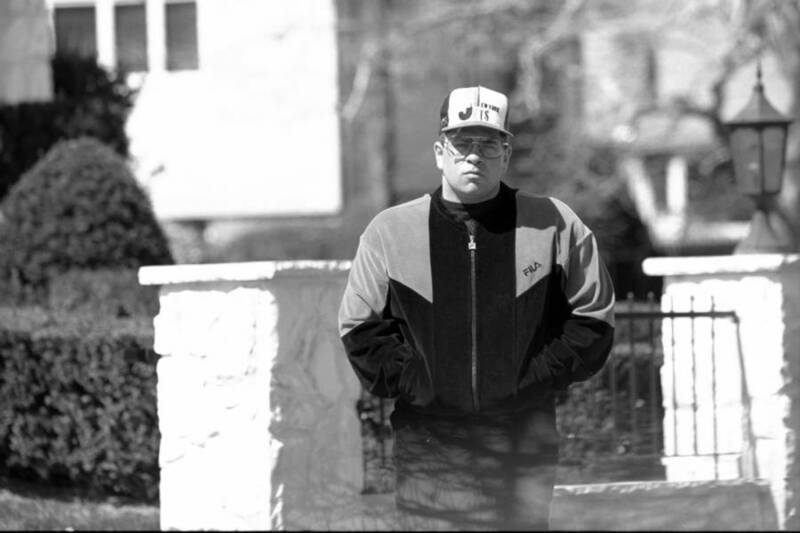 John Gotti Jr. stands outside his house in Massapequa, N.Y. 1995. Mobster John Gotti Jr. was born into underworld royalty and followed in his infamous father's footsteps for years, before finally walking away. The name John Gotti, even 26 years after his imprisonment and 16 years after his death, is still well-known to anyone who knows anything about the mob. And John Gotti Jr., the son of the infamous mob boss who made headlines throughout the 1980s and ’90s, knows this full well. John Gotti Jr. once followed in his father’s footsteps and joined the family business — until he decided it was time to give it up and walk away. This is his story. John Gotti Jr. — born Feb. 14, 1964 in Queens, N.Y. — may not have seen his father much when he was a kid, but what he did see certainly left an impression. When Gotti was just five — by which point dad had already been in trouble with the law many times — his father began a three-year prison sentence in Pennsylvania after pleading guilty to cargo hijacking charges. It got to the point that Gotti’s friends didn’t even believe he had a father. One day in 1972, he and his friends were outside near his house and they were again teasing him about not having a father. Gotti said his dad was away on business and his friends only scoffed. It was only three years later that Gotti’s father was back in prison for a two-year term on attempted manslaughter charges. And though Gotti loved his father despite these absences, he always knew that his father put the mob lifestyle ahead of everything else. And “action” sometimes meant violence. On May 18, 1980, when Gotti was 16, a neighbor accidentally ran over his younger brother, 12-year-old Frankie while the boy was riding his bike outside the house. Gotti’s father never showed much emotion about the tragedy in public, but things were different behind closed doors. And as for John Favara, the neighbor who’d accidentally killed Frankie, he disappeared after being abducted by several men four months later. Gotti later acknowledged that his father was probably involved in that disappearance. Whatever innocence John Gotti Jr. may have still had about his father’s life surely vanished after that point. 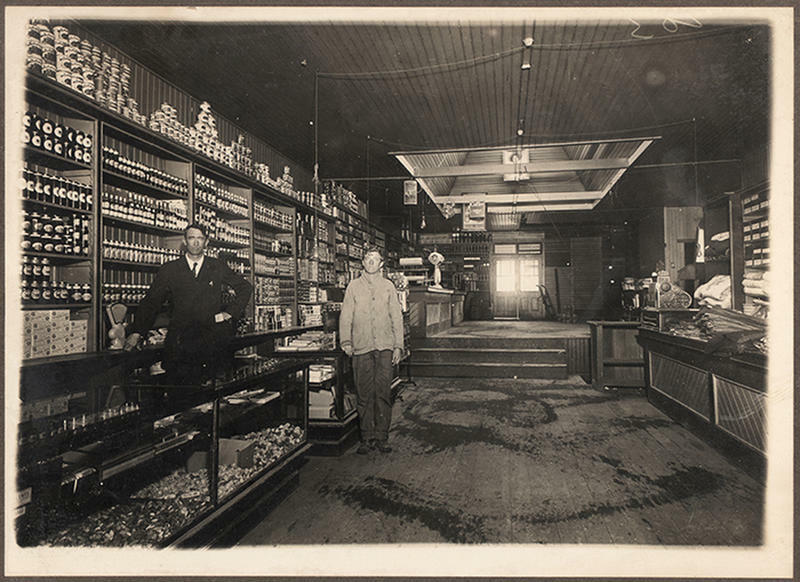 Gotti was on the verge of becoming a man himself, and for him, that meant joining the family business. John Gotti Jr. (right) leaves Queens Criminal Court with his father (left) after the former’s acquittal on a charge of assaulting an off-duty police officer in a 1985 restaurant brawl. 1987. 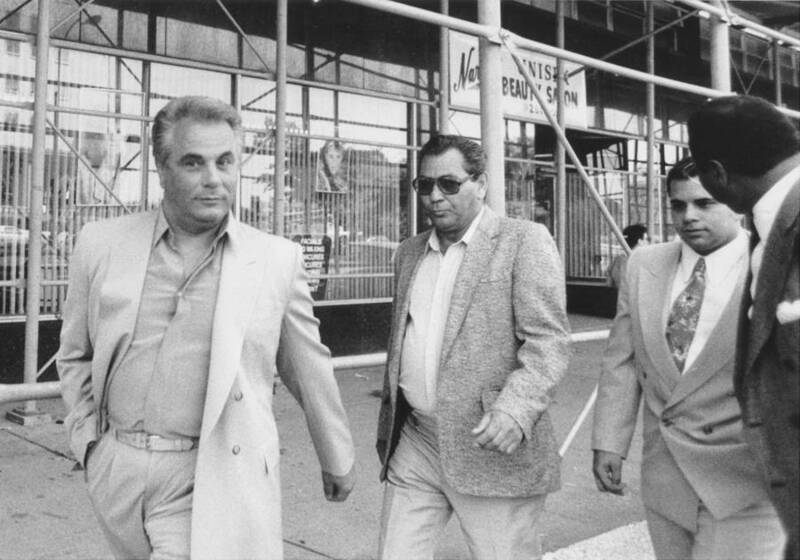 In 1985, five years after Frankie Gotti’s death, John Gotti Sr. became boss of the Gambino crime family upon executing a plan to kill current boss Paul Castellano. With his father’s power now cemented, John Gotti Jr. became a rising star in the New York underworld. Authorities believe that Gotti became an official member of the Gambino family in 1988 and became the youngest capo (captain) in the family’s history just two years later when he was still in his mid-20s. He’d already been learning the ropes in the various rackets — including gambling and loansharking — since 1982, but now he was a mob leader himself. But not long after Gotti was inducted into the mob, his father’s life on the streets ended. Gotti said that his father’s credo was simple: “At the end of the day, you gotta die or go to jail.” And that’s precisely what happened to John Gotti Sr. when he was convicted of racketeering and murder charges in 1992 thanks to the turncoat testimony of mob killer Sammy “The Bull” Gravano and sentenced to life in prison. According to authorities, John Gotti Jr. began acting as the Gambino family’s head of operations after his father went to prison. As an actual family member, Gotti was allowed to visit his father in prison — and relay his messages and orders to his criminal associates on the outside. By all accounts, Gotti ran the family business throughout the 1990s — until the law caught up with him too. In 1998, federal authorities charged him with a broad range of crimes including loansharking, bookmaking, and extortion. Faced with a mountain of evidence, Gotti accepted a plea deal to serve just under seven years in prison. Just before doing so, he met with his father, who tried to convince him to fight the charges and remain a proud member of the mob. It was the last time the two would ever see each other. The elder Gotti died of throat cancer not long after, on June 10, 2002. And despite his father’s wishes, John Gotti Jr. accepted the plea deal and began a decade-long process of extricating himself from the mob life he’d been born into. During that final conversation, John Gotti Jr.’s father did try to convince him to fight the charges but ultimately relented. That’s precisely what happened. Even after he served time for the plea deal (getting out early in 2002), authorities indicted him again and again for old crimes ranging from drug trafficking to racketeering and murder, including a plan to kill radio host Curtis Sliwa, founder of the Guardian Angels volunteer crime-prevention group. Each time, however, prosecutors were never able to secure a conviction. Gotti spent most of the 2000s fighting legal battles and he beat the charges each time. Finally, in 2009, the latest in a string of mistrials related to Gotti’s racketeering charges convinced authorities to give up the fight and let the man walk free. From that point on, John Gotti Jr. has said that all he wanted was to be a dad to his six kids and a husband to his wife, Victoria. John Gotti Jr. indeed seems to have been living the relatively quiet life of a family man since his 2009 trial. Nevertheless, he put himself back in the spotlight with his 2015 memoir Shadow of My Father, a film version of which was released in 2018. Gotti has voiced his dislike of the film (saying that it didn’t capture the full story) but still took part in the promotional tour. In addition to giving tons of interviews about his former life in the mafia, Gotti has filled his Instagramwith images of him with celebrities like John Travolta and Kelly Preston (who played his father and mother in the film). Even for a man who left criminal infamy behind, John Gotti Jr., much like his father did, still seems to enjoy the spotlight. In that respect at least, the Gotti legacy certainly lives on.